Results for March 30-31 Double Regional/Vintage with Time Trials are posted! Oregon Region is SCCA's 2018 Jumbo Region of the Year! "Congratulations to Oregon SCCA for winning Jumbo region of the year for 2018! This award belongs to all of our outstanding, amazing and dedicated volunteers. From our volunteer corner workers who stand guard in our turn stations, to the grid workers in solo and road race who keep the rat race organized on grid in all types of weather, to our E-Crew who may dig us out of the tire wall, to the registrars with their smiling faces checking us in for the weekend, to the rally folks and their muddy boots, to the solo crew for never backing down in rain, floods and sun, and the dedicated BOD. Congratulations! It’s because of all of you the Oregon Region won this award. It’s because of you that racers get to race, and as a racer I would like to say Thank You on behalf of all of us who have raced, autocrossed or rallied under your supervision. See you at the track in 2019"
Click through the photos below to learn more about any of Oregon Region SCCA's competition programs! Go Racing With Oregon Region SCCA! Are you interested in tracking your street car? If you don’t have a race car, but want to track your street car, Oregon Region has weeknight and weekend options for you! Cost is $150 for three (20 minute) sessions. Time Trials give track day enthusiasts the chance to race against the clock in their vehicle. All the important stories from Oregon Region and the National SCCA organization, gathered into one PDF. ​Or view the Loud Pedal online! 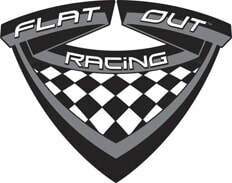 Registration is now OPEN for Oregon's next Tire Race Street Survival event at Portland International Raceway. Street survival is designed to teach young drivers safe driving habits and emergency skills in a safe environment. All meetings will begin at 6:30 PM at the Raccoon Lodge/Cascade Brewing at 7424 SW Beaverton-Hillsdale Hwy, Portland OR 97225.